To even be eligible to order a Demon, dealerships must have sold more than one SRT Hellcat in the past 12 months. 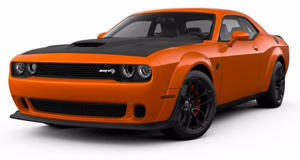 Dealer allocation will be based on 60 percent SRT Hellcat and 40 percent Charger and Challenger sales performance. This part, right here, is vital: dealers can only order as many Demons as they are allocated. Period. To specifically help avoid markups, cars sold at or below MSRP will receive priority scheduling that’ll result in lower serial numbers. For those Demons sold above MSRP, dealers (and therefore buyers) will miss out on priority production. Dodge has even set up the Demon Concierge hotline (800-998-110) to provide direct communication between buyers and dealers, as well as a new website where orders can be tracked. And it doesn’t end there. In order to quality as a verified sold order, both customer and dealer must sign an official document that’ll also be notarized. Demon Concierge must receive the completed document before the car is built. Why is this necessary? Because Dodge wants the customer to take responsibility for safety considerations (840 hp!!). It will also help determine priority production based on the customer-facing contract price. Beginning today, June 21, Dodge dealerships will begin taking orders for the 3,000 US-bound Demons.